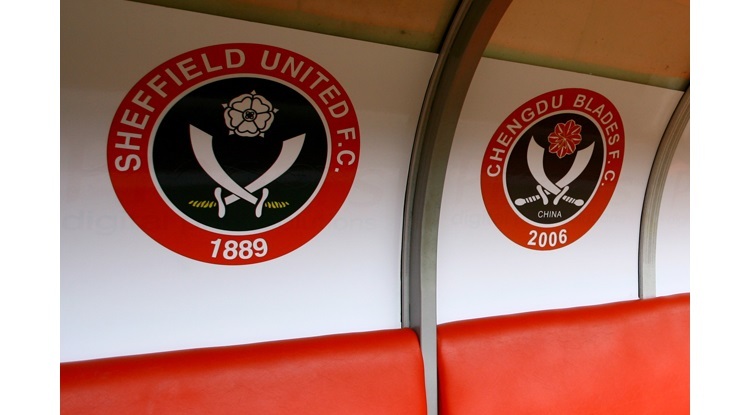 Sheffield United’s late season surge and outside chances of a playoff place probably ended at the hands of South Yorkshire rivals Barnsley. A 0-0 stalemate meant the Tykes moved into the 6th spot and the playoffs whilst the Blades now are set to face a sixth consecutive season in League One. In a game of few chances a draw was probably a fair result with the home side in truth not doing enough to win a game they simply had to win. Manager Nigel Adkins named an unchanged side yet again as the Blades sought the all important win to get amongst the promotion play off places. After a starting so many games so well, United were defending early on as Hamill had a shot at Long and then Isgrove drew a mistake on McEveley. United had been slow to start but Flynn was busy and then Done’s cross evaded everyone as they sought to get a foothold in the game. Barnsley had been quicker to the ball and had looked lively inside the first quarter of an hour. The first real chance of the game saw some nice play from Barnsley but Hamill’s shot was parried by Long after good work by Fletcher. United then broke and after the referee played on, Davies dropped a cross under pressure from Sharp but Done’s effort was cleared off the line as it lacked the necessary power to score. Not long after Flynn made an opening and from his cross, Adams hit a low shot that seemed goal bound before Davies managed to get a great full length save tipping the ball onto the post. After this chance United slowly started to take control. They won two corners and then Basham had a shot deflected over. However, despite the improvements from the home side, Barnsley felt hard done by when Flynn dithered to clear but as Fletcher stole it and then scored, the referee deemed he had been fouled in the build-up. Winnall was booked for an overly aggressive foul on Long as the keeper held before United broke but Adams was crowded out. The half time whistle came soon after. Barnsley began after the break with some purpose and Fletcher sent an effort wide. Hammond was finally booked after he had committed a series of fouls and then Done was also cautioned for a late foul after some uncertainty in the United back line. United were struggling to create much but a good move with Adams and Done involved saw the latter saw cross go right across goal somehow evading Sharp. At the other end Hamill fired over before Cuvellier and Woolford replaced Hammond and Done. Woolford had a cross that went across the box again with Sharp again just missing out before Fletcher missed a good chance nodding wide after Baptise had lost the ball. In truth both teams had huffed and puffed but there has been little quality. Sammon came on for McEveley and at this stage it became reminiscent of a basketball game as both teams were attacking in an attempt to get the winner. Baptiste broke out and Sammon seemed in the clear but it was blocked out. The game entered four minutes of stoppage time and in this Sharp had a header saved and then an overhead kick over the bar. The final whistle came immediately after this. The game finished with Barnsley the happier of the two sides with neither side having done enough to win the game. United – After some recent improvements in games, I felt we never really got going. We have been starting games really well but today we were slow and lost a lot of 50/50 battles. We never really set the initiative. We did gradually get back into the game and had a better spell from 20 minute to 40 minute mark but overall we created few chance save for the Done scrambled one off the line after keeper dropped and the Adams shot that hit the post. It was fairy even but I thought second half we would have a real go but it never happened. It was even again most of this half. We had a go at the death and a few half chances but in truth I cannot remember us having a decent effort second half and overall we did not do enough to win the game. Barnsley were no great shakes but today the passing was slow and took an age for us to execute simple things. We looked more like the side earlier in the season as we were very slow and methodical in the build-up. The tempo was slow and predictable. We just did not move it quick enough and as a result we struggled to create much. I felt they nullified our formation far better than most of the teams have recently and we struggled to create much at all.
. Barnsley had more zest and were pressing more than many of our recent opponents. They were not great but just pressed more and looked more determined and committed than we have faced. United for me just had too many off their game and I felt for a must win game, we looked slow and laborious for too many spells. We did not do enough and as I say did not move it on quick enough or wide or even up top with any tempo. It was so laborious and as a result Barnsley got men behind the ball. Sadly, it was more reminiscent of most of the early-mid season performance’s. Today when it mattered too many did not turn up and sadly we had a second consecutive home blank. We did not have any real idea how to break Barnsley down and we were quite clueless. They did not create anything either but with a four-point cushion had less emphasis to score. We simply had to win and score but did not force the issue. Sadly, with so many slow and immobile players it makes it hard to turn teams. At times it took us 15-20 touches via 4 or 5 men to play a ball to a certain wing when it could have happened in a few seconds and a few touches. By this time the defence had got back into position. We then would do the same again to switch it to the other side. It did not help the two strikers who have played well had really poor games but even with this we never looked like creating anything from midfield and looked clueless for long spells. A few many have thought we should maybe keep maybe showed why we should not with some very indifferent performances from quite a few when it mattered. This game more than games v Crewe/Port Vale should be a measure of why most should be released at the end of the season. So for us our season is now all but over. We have simply not been good enough all year and despite recent improvements it has come too little, too late. It was not about today but performances over the course of the season which in truth have not been good enough. For us to be staring at 8th/9th with our wage bill and resources as Wigan canter to the League is hugely disappointing. I still feel Adkins is not safe and I am sure meetings at the end of the season will decide his fate. If he is sacked, he cannot argue really. He has overseen a poor season where we have been way off the top two places. He has not really improved things in any way. He will be nervous and know he has underachieved as he awaits his fate. With two games to play now and very little to play for but pride, United now have to think about next season. Today though was very much a microcosm of much of the season with slow play, little urgency and overall a performance that was not good enough to get what we wanted. Barnsley – They have done great to go from bottom to 6th from when they played us before Christmas. They have gone forwards whilst we have gone sideways at best. They were full of running all game and were very determined and sadly looked fitter than us as the game went on. They were not a great side and created little but they defended well limiting us to very few chances (Adams chance and maybe a Sharp header only real chances) and will say it was a well-deserved away point. The two lads at the back played well helped by Sharp and Adams awful touch/decisions. In midfield they were busy and pressed all game but they did not create too much with a few half chances and that was it. Although they may feel they had the best chance with the Fletcher header and also had a goal disallowed which some referees may have let it go. I am not sure they will go up but they have a great chance now of the playoffs so who knows. A club and side that had a far less budget than us but ultimately will finish higher than us in the league now. Opponent man of the match : Mawson. Could have been him or Roberts who defended well. Not Sharp and Adams day but these two defended well winning headers, making blocks and limiting us. Opponent Weak link : Williams. The lad who played right back struggled with Basham until he was moved inside for the final part of the game. Long 6/10 – Thought he was a bit shaky at times with one shot bobbling out and a few crosses which he should have took but punched instead, some of them chest height which he should have just grasped. His kicking was mixed with some quick ones out nearly finding Adams and Sharp but some kicks were awful going straight out. Basham 7/10 – He tried to isolate a smaller full back and I felt he kept running at men and was all action. At times not even sure he knows what he is doing but is strangely effective. One of our better performers and has done well in this unfamiliar position. Done 5.5/10 – He got up and down and put a few really good crosses in but often gambled also which led to them breaking away and leaving him woefully out of position. His touch was not great today and even despite his effort he has played better than he has today. Not sure he can defend very well and that will be a question moving forward despite his enthusiasm going the other way. Scowen caused his problems with his pace. Baptiste 6.5/10 – Not as good as he has been but still one of our better players. He came onto the ball and always looked to be positive both defending and attacking. One slip nearly led to Fletcher scoring in the second half but overall read game well and used it well when he could. Had one run at the end when he maybe ought to have kept going when Sammon stepped in. Edgar 6/10 – Uncertain for long spells mixed in with some steady defending. First half especially he was slow or gave it away quite a bit. He generally was not always assured in clearances or passing. Got better after the break though. Still do not think I would sign him sadly and think we could sign a younger and more mobile or commanding centre back. McEveley 6/10 – Odd show as first half he started badly with some hesitant play dithering to clear or sending some poor passes to the opposition. He looked very unsteady overall but he got better after the break and used his body and experience to shield it out two or three times. Still today showed to me why we should not entertain bringing back players of his ilk back. Flynn 6/10 – He got kicked a lot today and that hindered him as he spent a lot of time on the deck or limping back into play! At times he was busy but also sometimes ran into blind alleys and there was little end product. I felt any influence he had lessened as the game went on. A very ordinary performance and another that to me needs to be moved on. Hammond 4/10 – Awful for most of the game. After recent improvements where he has broken it up and kept it simple and done a steady job, today he did nothing of the sort. Fouled constantly often going to ground before he did upend an opponent. Gave the ball away a lot and also played a lot of short/loose balls too. Always running after players and chasing them as his legs showed he could not keep up with many. Once second half a Barnsley player just jogged past him and that was sign for Adkins to give him the hook. He surely must see his legs have gone? He got booked when he should have been cautioned a long time before. When he went off it was a change that was cheered. That says it all. Would be a nonsensical signing. Coutts 7/10 – Might have been our best player. Sure he gave it away a few times and he too was slow to do what was needed but showed some lovely touches and control (the ball he took high from the clouds a casing point) and always at least looked to prompt or try and find a shirt. He never looks like really driving forward/scoring (the ridiculous long range shot when the keeper came and kicked summed it up) but at least he was neat and tidy. Sadly, as with most of the team no real penetration. Adams 5/10 – Not his day. Started game ok with some decent runs and hold ups but then things started to ping off him. He did have our best effort with the low shot saved via the post. Second half felt he made some poor decisions with some silly flicks and he got rid of it too quick. I felt he needed to just get it, turn and run at the defence but almost seemed obsessed with giving and going. Sharp 4/10 – His worst game this season for me. Nothing he did worked. He lost it when it came to him, did not hold it up and was sloppy in all aspects of play. Had one header he should have done better with and then a wild volley over at the end. Also missed two crosses which came over. Just one of those games really. Cuvelier – Came on for the poor Hammond but he was even worse. I actually do not think he did anything right. He was abysmal. Maybe could not adjust to the pace of the game but was hardly breakneck! Weak, poor touch and slow to react. He looks overweight and still unfit (after three years). I thought he looked woeful to be honest and out of his depth (even at League One level). Amazed some fans think he is worth keeping around. Has to be released. Three seasons and barely a decent performance in that time. Woolford – He tried to get down the wing and actually got one decent cross in which missed everyone. Sammon – Brought on as many jeered as he entered the field. Even though I am not his biggest fan I had no issues with his entrance today and actually would have introduced him earlier. We had nothing going up top so he was a different look. Sadly had one chance but seemed to take an age and then his shot was blocked away (not sure it was going in anyway). Manager – Adkins 5/10 – He picked the same team which was to be expected but I felt today he needed to change it earlier as nothing was happening. We started game slow and then after we picked up, we then began second half poorly and in same languid style. I felt either by personnel or formation he needed to try something different but sadly he did not and the game kind of petered out. The Sammon change was too little too late. We started going for it but it was only with a few minutes left we started this cavalier attitude. I wish we had gone for it much earlier. Ref – Coote. Was fine really. He tried to let it go but brought it back when he could. The goal he disallowed seemed to be a pullback but some neutrals suggest United were a bit fortunate. The Hammond, Hammill, Winnall and Cuvellier bookings were obvious. Hourihane’s foul was awful on Basham but sadly where it was meant it could not be red no matter how cynical it was. I felt he had no help from his assistants who often just guessed. Crowd – Good crowd of 23,307. Barnsley brought best following of the season to the Lane with maybe 4,-4,500 away fans (?) inside the ground having most of the top tier (not the corner) and even some in the bottom tier. They were vocal throughout against an oddly quite United following who with few chances and the sadly slow tempo of most of the season, struggled to give them such backing. United fans were quite frustrated with the slow and often negative play as the side failed to get it forward quickly or create many chances of note all game.